Fiercely loyal, extremely loud laughter, storyteller, Enneagram Nine, advocate, reader, writer, believer in building bigger tables for everyone. ​Likes: Yellow, big dogs, queso, Celine Dion, reading, writing, belly laughter, intentional time with her friends, squirrels. Dislikes: Traffic, bugs, flying, being hangry, chipped nail polish. Krista became an Austinite in May 2018 and will never look back. Growing up, Krista moved frequently and experienced multiple traumas before graduating high school. She promised herself that she would not waste the chances she had been given and was able to find healing connections with healthy adults in her life who encouraged her to pursue her dreams. After earning a BA in English with a creative writing minor in 2008, she decided to change gears and get a graduate degree in college student counseling. She earned her MS from California Lutheran University in 2010. 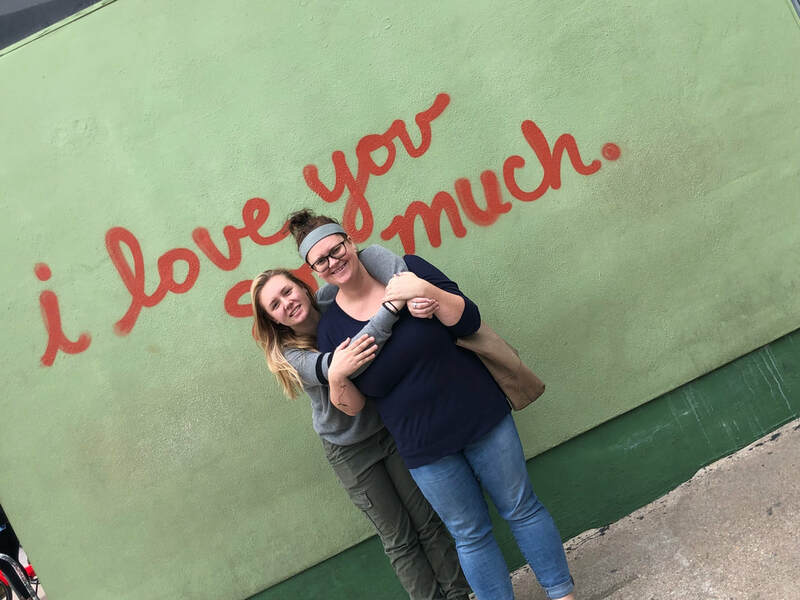 In the spring of 2018 the opportunity to come on staff as a case manager with Austin Angels opened up and Krista said an enthusiastic YES without any hesitation, knowing that the job aligned her life experience, passions, and education into her calling. She is interested in learning more about trauma, grit, grief, and resilience and works hard every day to become the best version of Krista possible. She is a fiercely loyal friend and advocate for children and families.